Licensed Massage Therapists (LMTs) have received a degree from an accredited school and have received a license from the State Medical Board of Ohio. LMTs have also trained with Aveda, participated in in-salon training sessions and have ongoing training in massage therapy, including: Swedish massage, deep tissue, sports massage, and myofascial release. License estheticians have received a degree from an accredited school and hold a license from the Ohio State Board of Cosmetology. Estheticians have also trained with Aveda, participated in in-salon training sessions and have ongoing training in skin care, body care, and relaxation massage. 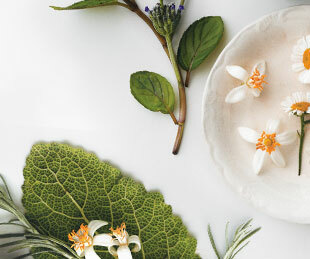 All massages include an aromatherapy sensory journey. Swedish, deep tissue, sports, pre-natal, or myofascial release with licensed massage therapist. Slow, rhythmic movements similar to Swedish massage with a massage therapist or a licensed esthetician. Does not include deep tissue or therapeutic massage work. Reiki is a hands-on energy balancing technique, which increases relaxation, reduces stress and promotes healing. Practitioners use light touch to release blocked energy and balance the chakras. Each session enhances the overall well-being of the recipient and promises to be a positive and enlightening experience. Must be booked with a Reiki Master/Practitioner. A deeply relaxing treatment in which therapists use various massage techniques to manipulate reflex points on the feet. Reflexology helps to balance and detoxify the body by alleviating stress and tension and enhancing overall body wellness and general health. Not recommended for pregnant women. Utilizes the power of essential oils, Swedish massage, deep tissue massage, foot reflexology, and acupressure points to help you recover from the negative effects of stress. The treatment incorporates the Stress-Fix™ aroma blend with organic French lavender, lavandin, and clary sage, which is clinically-proven to help reduce the feelings of stress. Massage with hot basalt stones that soothe and rejuvenate tired muscles. A massage experience which balances the seven chakras of the body, utilizing energy-guided meditation, deep breathing, and aromatherapy with Aveda Chakra™ Balancing Blends.